I received the Acer Aspire Switch 10 a few weeks ago, and after a couple of days of using it for work and play wrote this post. Now after working on it more in-depth, I can say this Acer 2 in 1 is great on the go. I used it during a meeting, at the library, and while traveling, with and without wifi. Driving to my destination, I connected the 2 in 1 to my car with an audio out cable, since I used Bluetooth with my phone at the time. I listened to a new playlist, and loved non-commercial selections of my favorite tunes. I downloaded the Dropcam Pro app. I like to use Dropcam as a surveillance device while I’m away. I could monitor the exterior of my home, and keep an eye out for any deliveries. Tip: Bluetooth has to be enabled before pairing devices. Click the arrow next to the keyboard icon at the bottom right of the screen. It will open the Acer Quick Access menu. Scroll to the top and slide the Bluetooth toggle to the right. Now you can proceed with pairing. I paired my Braven speaker to give the audio more bass and a richer sound. This made singing and dancing at my friend’s house a lot more fun! I like to watch movies on planes, in hotels and on cruises, sometimes alone with headphones, and other times with my family paired with speakers. Tent mode works great for this purpose, but occasionally, I can connect the 2 in 1 to the HDTV so we can all watch on a big screen in our room. I can do this with my micro-HDMI adapter. It worked beautifully! With a wifi connection, we watched TV shows on Hulu and Amazon Prime Instant Video directly from the site using the browser and streamed movies using the Netflix app, watched Ultraviolet movies via the Flixter app, and watched TV shows using CBS, ABC or one of several other network apps. I also took advantaged of wifi by video chatting with family or friends via Skype. The OneTable app to made making dinner reservations easy peasy, and racked up points towards a $20 dining check. 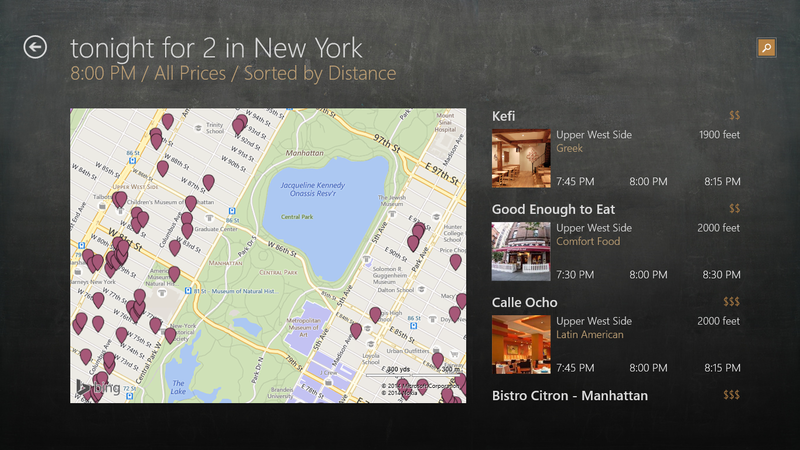 This app also allowed me to discover restaurants in the area. I found a great restaurant that I can’t wait to eat in again! I am experimenting with the Office Suite apps so I can share Excel spreadsheets and PowerPoint presentations on a larger screen at upcoming meetings and events with the screen in presentation mode, using dual screens. The micro USB adapter I purchased made the connection a snap! I like to take a lot of photos wherever I go, especially on vacation. When I shoot video as well, I transfer my files, and I did this easily by connecting my camera to the USB port on the keyboard. Considering the brains of this 2 in 1 device is all behind the monitor, makes this ultra convenient. I have even used this as a laptop without the keyboard. This means I am using a tablet to do things that I should only be able to with a laptop, like watch Hulu.com. Score! It allowed me to bring this with me for business and travel. It didn’t matter if I was in a café writing a document and sipping on chai tea, or at the park listening to an audio book while taking photos, the Acer Aspire Switch 10 has been able to keep up with all of my on-the-go needs so far. It packs a big punch for a small price, and I like that! 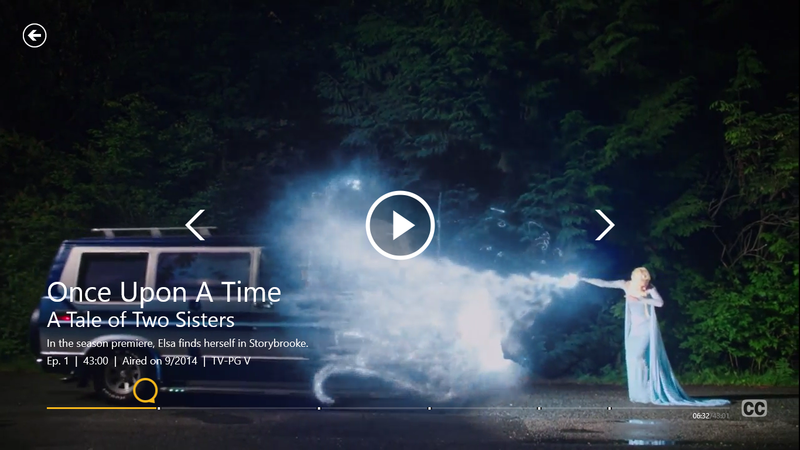 I’ve seen commercials and ads about 2 in 1 devices and have always been intrigued by them. Needless to say, I was excited to join the Intel 2 in 1 Smart Squad to get hands on experience with a device. I received an Acer Aspire Switch 10, which has a Windows 8.1 operating system, powered by an Intel Atom CPU, Gorilla Glass, and included Microsoft Office Suite! I am exploring this 2 in 1 device using it as a laptop and a tablet at home, and on the go. But I wasn’t the only one who was curious about this 2 in 1. My family wanted to check out how it would hold up to power users. I connected it to a friend’s DJ system to play music at a school picnic using the Edjing app. I am in no way a professional. However, I did get many compliments for the job. Score! As a photographer, I like to transfer my photos (and videos) to a device with a larger screen, not only to check for sharpness, but also to edit. So I downloaded Canon’s software to make that happen. It was as easy as working on my desktop. We love hearing music in the car. 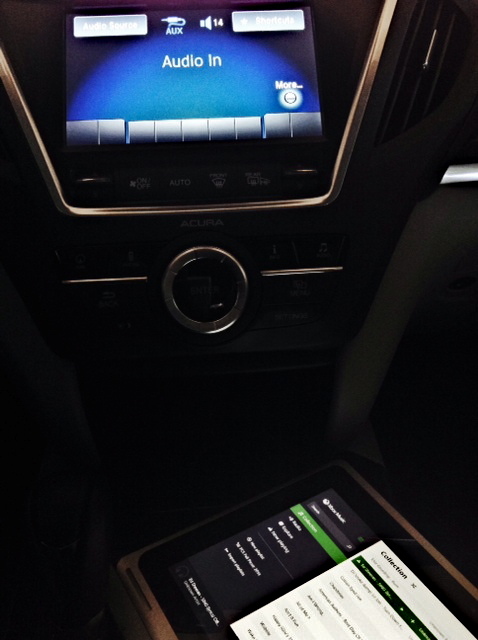 In addition to listening to XM & FM radio stations and CDs, we enjoy specific playlists. A simple connection to the audio jack made everyone happy! I’ve read the news, magazines, and part of an eBook using the Kindle app. I’ve transferred some music and listened to it with my headphones in addition to in my car, watched a couple of TV shows and a movie on Netflix, and started writing a blog post. My family took turns streaming movies and shows, watching sports on ESPN live while working out, listening to an audio book using the OverDrive app, and playing games. We’ve only had it for a few days, but have put it to good use. 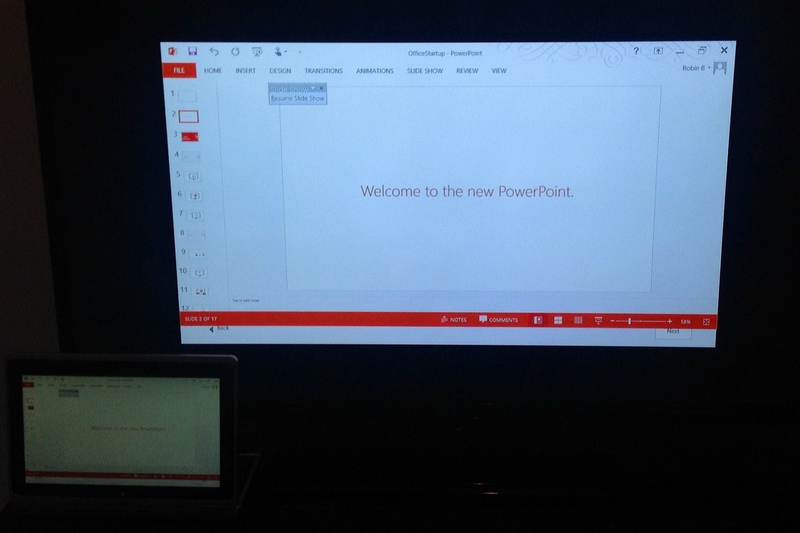 With time, we will have a chance to work on spreadsheets and presentations, connect it to a flatscreen TV with an HDMI micro to HDMI converter, and more. This 2 in 1 definitely knows how to work hard and play hard! Summer reading programs have begun, as well as vacations, so kids, teens, and adults are searching for reading material. Princeton Public Library has revamped their eLibrary to make life more convenient for cardholders. It’s easier than ever to get collections of books and other content to you without a visit. In these days of instant gratification in the form of streaming and downloadable content, Princeton Public Library is constantly redefining itself to meet the needs of the community. 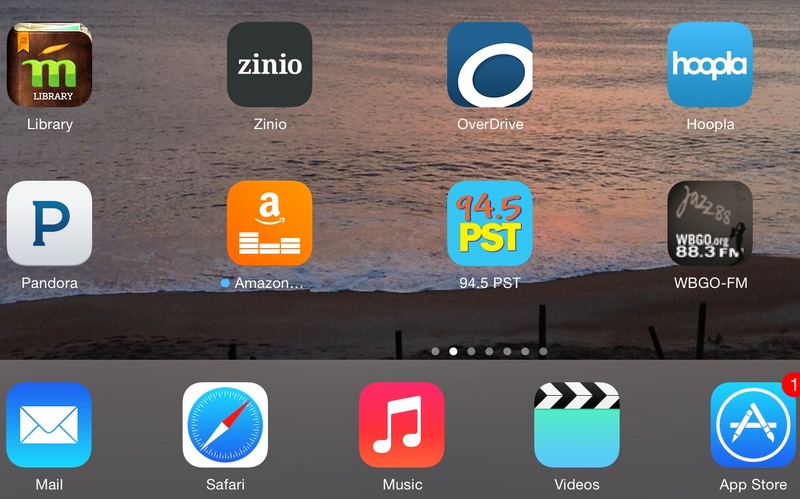 Hoopla, Mango, OverDrive, and Zinio allow you to read, watch, and listen to content for free on your desktop, laptop, eBook reader, tablet, cell phone, or iPod Touch. Unlike some free e-book apps that merely provide the classics, Hoopla and OverDrive e-book and audio book selections are bestsellers from authors like John Grisham, Veronica Roth, Judy Blume, Nora Roberts, James Patterson, John Green, Markus Zusak, Katie DiCamillo, and EL James. There’s something for all ages and both genders. 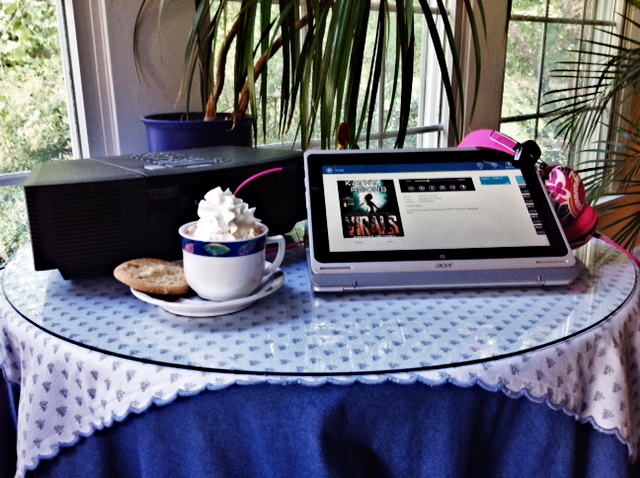 In addition to audio books and e-books, Hoopla also provides movies, music, and TV shows. Zinio gives you current and archive issues of popular magazines, such as O (Oprah), Car and Driver, Macbook, The Economist, Cosmopolitan, Popular Photography plus others that will pique the interest of most men and women. The eLibrary doesn’t end there. Leaving the country for business, vacation or relocation, or studying abroad in a land where the language is foreign to you? Download the Mango app and learn a new language or refresh your skills at home or on the go. The best thing is, these collections are available 24/7 wherever you get wi-fi. So you can still get a book and some magazines at the airport or at your final destination if you’ve forgotten to download before you left home. A four-hour training session will be held at the library on June 26th to learn how to use the eLibrary for those who are not as technically incline, so make an appointment today if you’re interested. The librarians can also offer you quick help over the phone if you’re a bit tech savvy. There is also an e-book challenge for the month of June. Load up on e-books using OverDrive, and help the Princeton Public Library win $1,500 to further build their digital collection. You can check out up to five books at a time for 21 days. Not near the Princeton Public Library? Check out your local library’s digital collections. Happy Reading! The power seems to go out periodically no matter what time of year it is. You might be one of the fortunate ones to live in the heart of town with the fewest outages. I’m not that lucky. It seems like every other month the power is out in my grid for about an hour, but sometimes it’s out for one to seven days because of a storm. And since it’s the season for snow storms, I am listing cool gadgets to buy for those without a generator. Some are practical, and others are for entertainment. Rechargeable items are listed becausethere’s always somewhere in town with power that offers free charging stations, or you can buy item #12 to power them up while driving. 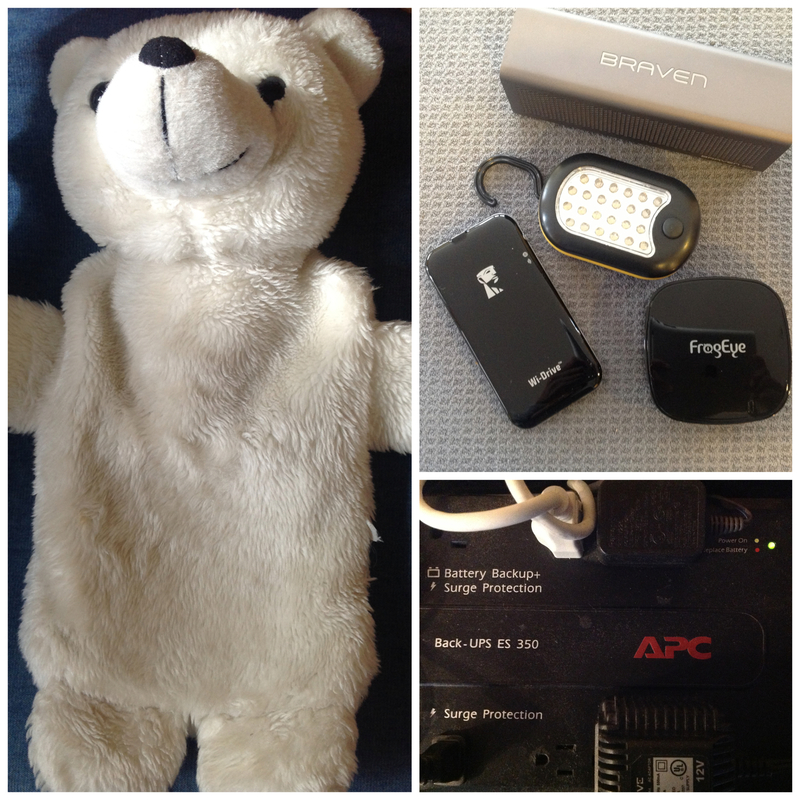 These sources will help juice up devices and power packs for an evening of work or play. Finish cooking dinner before it gets too dark unless you have powerful lighting like item #1. 27 LED Superbright Worklight/Flashlight – This is really VERY bright. The magnet allows for attaching under an over-the-range microwave oven for cooking (if you have a gas range), or hooking onto anything for hands free light. The best part is it only uses 3 AAA batteries (no hard to find Cs). Energizer 7 LED Headlight – Wear this around your head for hands=free reading or working. The pivoting head allows you to target the light. Smartphone – This is even more efficient since it charges in 1 – 1.5 hours, and keeps you up to date with news. FrogEye Power Play P80 – Charge phones, tablets and other small devices on this list. It has a 8,000 mAh lithium battery that can charge an iPad nearly full. Brookstone HDMI Pocket Projector – Stream video or play movies stored on your device. This will provide a couple of hours of entertainment. Jambox Wireless Speakers – Enhance the sound of your smartphone, tablet, or above projector with a Bluetooth speaker. The popular Jambox has the bass many like. The Braven speaker (pictured) has a built-in power bank and can be connected to other wireless speakers for a bigger sound. Seagate Wireless Plus – Store up to 1 TB of videos, music, photos, and files on this re-chargeable storage device. It has its own wi-fi network, so you can stream the same content wirelessly to up to eight devices or three different movies to three devices simultaneously. You can create a portable home theatre combined with the projector and speakers above. This will certainly entertain family and friends. Not too shabby during a power outage. I’m currently using the older Kingston Wi-Drive, which only offers 8-64 GB . Wired Phone – An old school technology that comes to the rescue in a time of need. Charcoal or Gas Grill – This will allow you to cook if you don’t have a gas stove. RadioShack Emergency AM/FM/WX Crank Radio – Stay in the know. DC/AC Power Inverter – Plug it into your car, and you can charge your mobile devices while you drive. APC UPS Battery Back Up – This is great for when you’re working on your computer and the power goes out. You’ll have at least 5-15 minutes to save documents and shut down properly. It also has surge protection. Solar-Powered Backup Battery Charger – Power up small devices. ReadyBright Lighting System – Small light devices stay plugged in outlets to charge, and come on in an outage. They can be unplugged and used as flashights. Fashy Fleece Covered Hot Water Bottle – Not a gadget, but can keep you warm if you can boil water or get hot water still from your tap. Place it your bed to warm it up at night. Many come with fleece covers. The one pictured has a polar bear fleece cover, and is great to snuggle. Apple TV is a great device if you’re part of the Apple ecosystem. 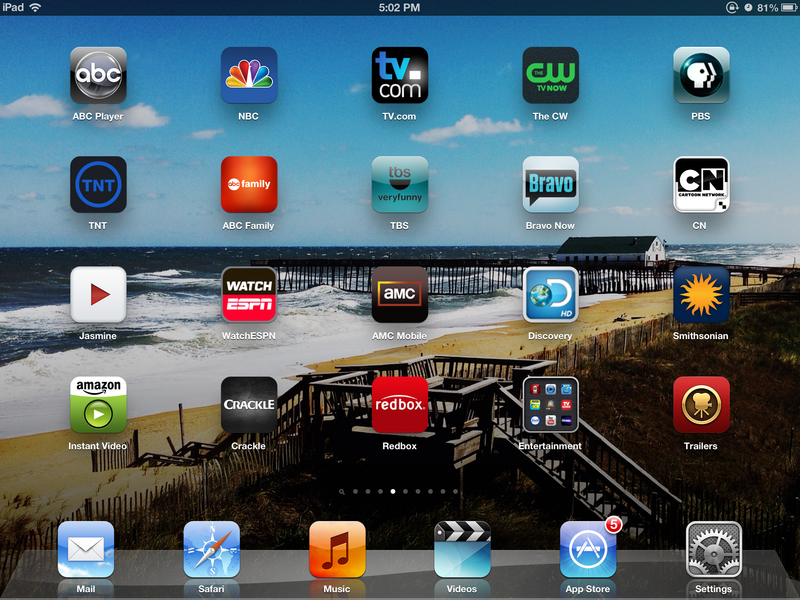 The problem is, it doesn’t come fully loaded with apps like the Roku or Boxee Box. You can buy or stream content via your iTunes account, subscribe to Netflix, Hulu Plus, MLB.TV, NHL, or NBA, or use a few other included apps, but that pales in comparison with the competition. There are jailbreaks for previous Apple TV models to provide more content, but the 3rd generation has none as of yet, and owners have to rely on other resources. You can choose the ‘Computers’ icon and view everything in shared iTunes accounts from a Mac or PC. You can also use AirParrot to enable desktop mirroring from your Mac or PC or app mirroring from your Mac. This costs $10, but it’s a one time charge and will let you stream video from sites like Hulu. If you have any iDevice, you can tap into some new content by using the AirPlay feature. I’ve come across a few apps that are configured for it. Note: Any network shown on Hulu Plus, which is an Apple TV app, will not be configured for AirPlay, so NO NBC, ABC or affiliates like Disney. It also doesn’t allow HBO Go or Amazon Instant Video. iMedia Share Lite is configured for DLNA products, and AirPlay. The following channels can be found, with more channels added to the full version. The Boxee app adds mostly YouTube and Vimeo content, but there are some others. So here’s the BONUS! If you double click on the home button of an iPod Touch, iPhone or iPad using iOS 5 and greater, and swipe left to right, you’ll find an AirPlay button next to the audio control buttons once the Apple TV is set up. Tap the AirPlay button to display your device plus Apple TV. Choose the latter to reveal a Mirroring option. Turn it on to display your device’s screen. It will mirror what ever you display, though there is about a second lag time. This will enable you to Watch ABC, NBC, Disney, etc. PLUS play games like Angry Birds, Asphalt 7, Fruit Ninja, Temple Run, or Infinity Blade II on your big screen. At least there are some options out there to get more free content on your Apple TV 3 without a jailbreak in the near future. If you have any other suggestions, please leave them in the comment section below. As a photographer, I have photos stored in several clouds. I have to use several photo viewing apps to watch the slide shows or look at individual photos. My luck changed when I went to the CEA Line Shows in New York and discovered Woven. I stopped by the Woven booth and they demoed their great app that makes the lives of anyone who has photos in a cloud easier. It gathers pictures from Photobucket, SmugMug, flickr, Picasa, Facebook, Shutterfly, Instagram, Dropbox, and more, and makes them all viewable at one source. This free mobile app is available for iOS, Android, Nook, and Kindle, and it isn’t just for photographers. Thumbnails are downloaded and stored for off-line viewing. When you have access to wi-fi or cell service, you can see the entire photo. It’s great to have them all consolidated in one spot. I’ve re-discovered photos I had forgotten about. I can’t believe how simple it is to use, and I’ve been telling all of my friends about it. I love using Woven, and think it will be well worth your time to check out the app. Once you’ve tried it, let me know what you think. Smartphones and Smart TVs are both loaded with widgets and apps to make your life sweet, but did you know that homes can also be smart? A Smart Home is guided by home control, which automates the electronics. For example, a party ‘button’ can be created to control the music, lighting, and whatever else you’d like for a festive atmosphere. Now that’s what I call the sweet life! I remember seeing celebrities on TV holding panels that looked like iPads to control their home theater systems, lower motorized shades, and adjust lighting about 10 years ago. I wanted to do this to my home, but figured if they have such systems the cost must be astronomical. However, I always kept the idea in the recesses of my mind. Suzanne Kantra from Techlicious led a group (with yours truly) through the CEA Line Shows during CE Week in New York. We stopped at the Control4 table, and got a quick demo of how home control can be the ultimate lifestyle system for the 21st century home. The Control4 system makes me think of the Jetsons. It’s an amazing feel to not only control everything from a convenient panel from within the house, but also with a smartphone from the next town, a different state, or even in another country. To be able to see if there’s flooding in the basement after a hurricane while on vacation, or check if the front door has been locked from the airport, can certainly put anyone’s mind at ease. Unlike a standard timer, lights can be switched on at different times while you’re away to give a more authentic in-home presence. The home temperature could be made comfortable, lights turned on, and music playing for a nice welcome home. A keypad lock would allow a babysitter or neighbor access to your home with a code just for one day, or if you need another key, you can quickly replicate an existing one in minutes. The door can be programmed to lock/unlock on a schedule, or work with an alarm system. The possibilities seem endless, and just depends on your budget. What I find most interesting is that these automated systems are more affordable than I thought. A starter kit that includes a controller and remote control costs under $1,000. If lighting, a deadbolt, licensing, and installation are added, the project would cost about $2,000. I actually thought an automated home system started at $10,000. My group was fortunate enough to receive a smart home set-up courtesy of Control4 in order to test out the system. I’ve decided to graciously accept their gift, and start out with the smaller system they provide, and once I use it, I can always add on from there if I choose. I anticipate that I will love this system, and will soon have a really cool smart home. After all, it does add value and lots of appeal to a home. I’ll write a review once it’s been installed and I’ve tested everything out. Below is a video that shows how home control can help with security, entertainment, childcare, elder care, energy efficiency and more.